Jim Kearney is a former television executive/consultant and retired college instructor. A native New Yorker, Jim studied undergrad with Professor Marshall McLuhan at Fordham University, then took his Master's from the University of Southern California. Early in his career he worked for public broadcaster WNET Thirteen, BBDO advertising agency, and MLB Productions, before moving to Los Angeles. 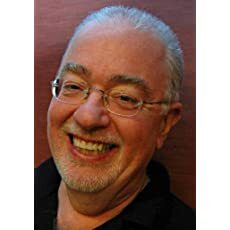 In California, Jim worked in TV program development for Columbia; wrote for Jeopardy; managed programming for a cable MSO, and consulted to the networks. Industry insiders from the 1990's remember his weekly in-depth radio interviews with leading TV writer-producers and executives for KPCC-FM. He has also taught generations of college students at Loyola Marymount University and elsewhere, bringing many top professionals into class to discuss the techniques they use to entertain audiences. Jim has also written about TV and other media for The Hollywood Reporter, PJMedia.com, Ricochet.com and TVCriticism.com. He enjoys discussing all the controversies which collide at the intersection of Politics and Media. Mr. Kearney had three paperback novels published when he was in his twenties, including one which sold over 100,000 copies. 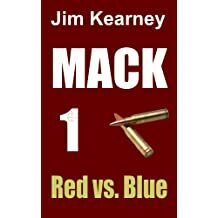 The mystery/thriller, MACK 1 Red vs. Blue (2012) marked his return to fiction. 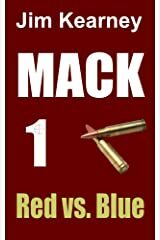 MACK 1 Red vs. Blue (2012) : NYPD Detective Mack McCormick pursues a sniper, and unravels a conspiracy. The sniper's target: a "power couple" determined to change Big Media. Mack's private challenges include looking after his indefatigable grandmother-about-town, and finding romance in a trendy milieu where cops with his beliefs are sometimes considered social pariahs.